Caring for the Florida Community. Caring for Your Family. Please use our online form to schedule a consultation appointment. Read some of the testimonials from our clients. Do you have referrals for us? Send them here. Payment Methods accepted at our home care agency. We put your health, your comfort and your wellness first! 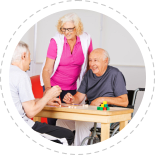 Warm Heart Elderly Care Services is your ally in recovery, health management and elderly care. We care for the whole family with patients ranging from children, adults and seniors in the Florida Community that we love and we wholeheartedly serve. Providing elderly care that will enable you to remain at home for as long as possible – and not in an elderly care home away from loved ones. Providing you with AM and PM care to aid you in your recovery at home – and not prolong your stay at the hospital. Providing you with companionship and care – you don’t have to spend the whole day alone; we can be there for you. Providing your family members with relief from their caregiving duties – your daughter, son or spouse who cares for you 24/7 can take a break, get some sleep or go on vacation to avoid caregiver burn out. 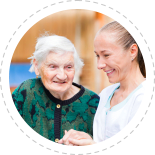 Warm Heart Elderly Care Services is a non-medical company with license # 233730. More testimonials and reviews coming soon. Please check back next time.